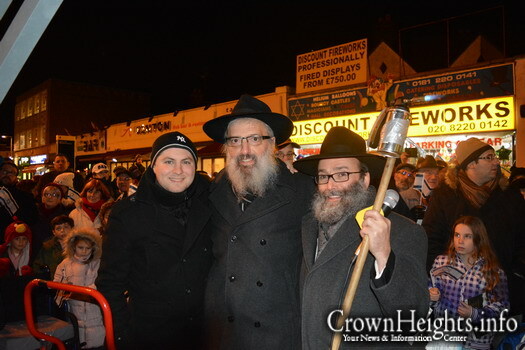 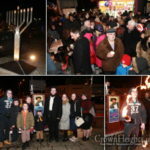 300 people joined Rabbi Aryeh Sufrin, MBE, and fellow Shluchim Rabbis Moshe Muller and Odom Brandman for their annual public Menorah lighting on Motzei Shabbos, the 5th night of Chanukah. 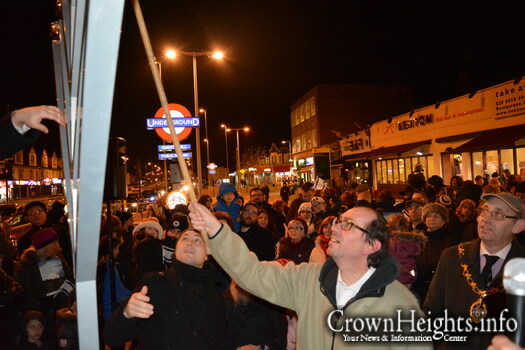 The event is held each year at the Gants Hill roundabout, the busiest intersection in East London, Essex, just outside the Gants Hill tube station. 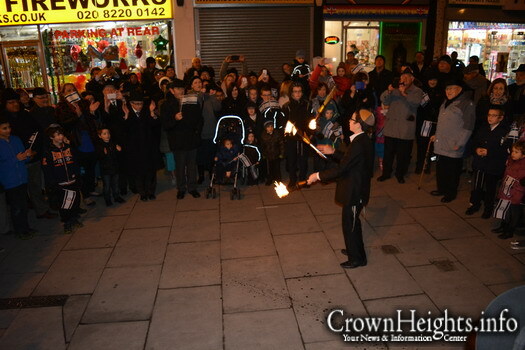 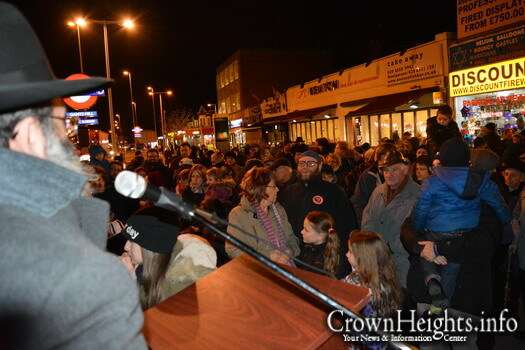 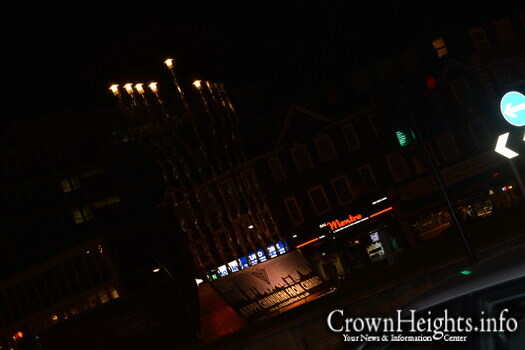 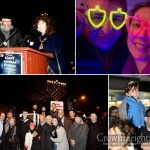 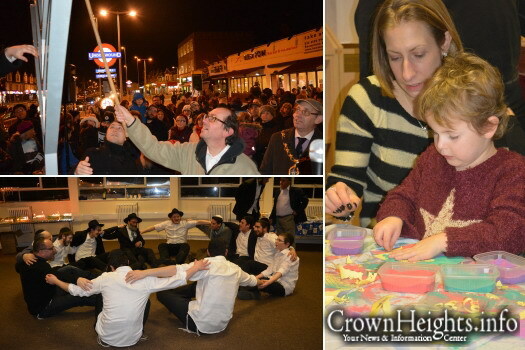 Candles were lit by Cllr Ashley Kissin, the Mayor of Redbridge, Councillors, Local Shluchim and other sponsors. 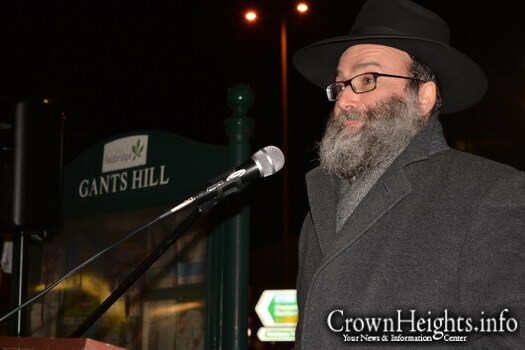 The crowd were delighted to welcome back fellow trustee, friend and core sponsor of Chabad locally Mr. Boruch Shimon (Brian) Mitchell for his first visit after a long period of illness. 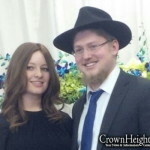 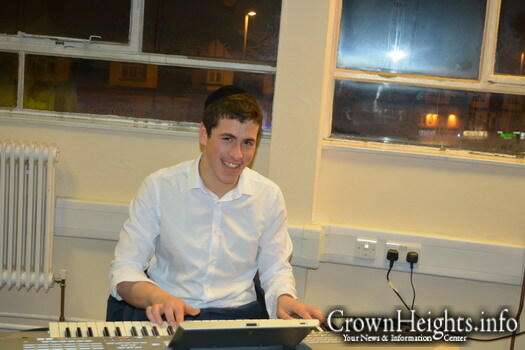 Entertainment was provided by musician Mendel Moses, and a fire juggling show performed by Yitzi Muller, the son of Shluchim Rabbi Moishe and Brocho Muller. 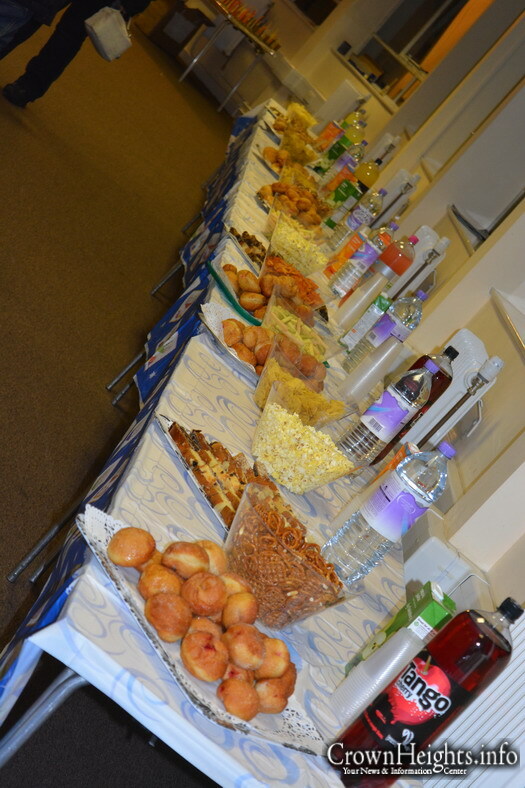 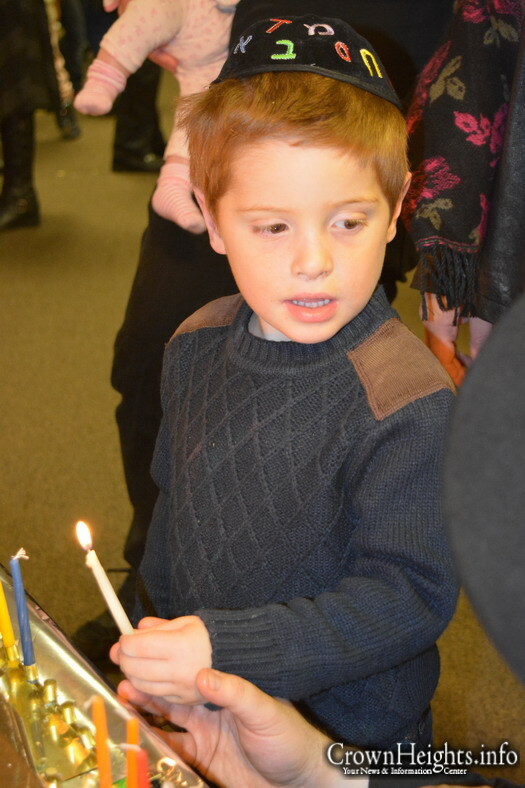 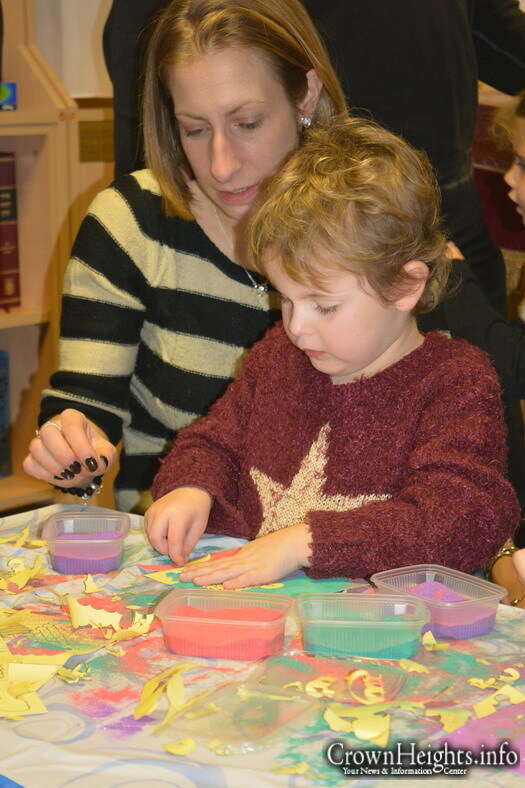 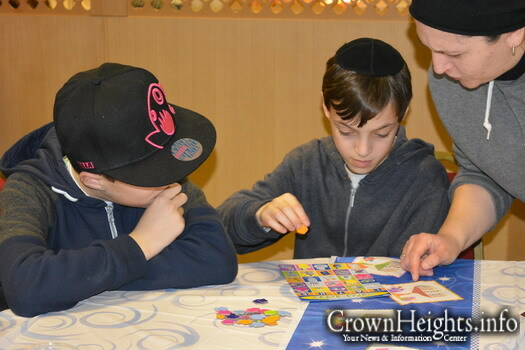 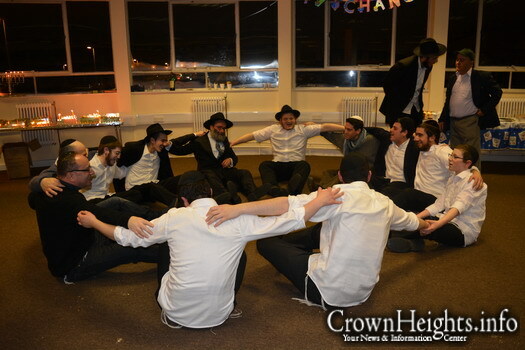 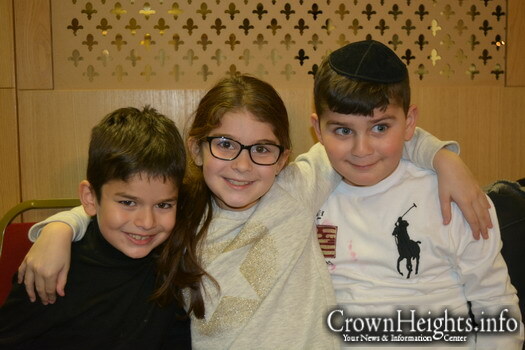 Childrens programs and activities were run by Mrs. Devorah Sufrin throughout Chanukah. 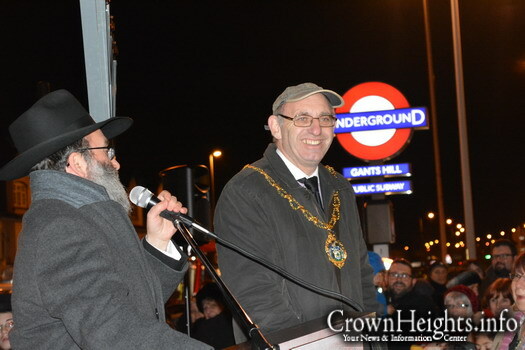 The four lightings were dedicated in memory of the four Rabbis who were murdered in Har Nof, Jerusalem, Rabbi Aryeh Kopinsky, Rabbi Avraham Shmuel Goldberg, Rabbi Calman Levine and Rabbi Moshe Twersky. 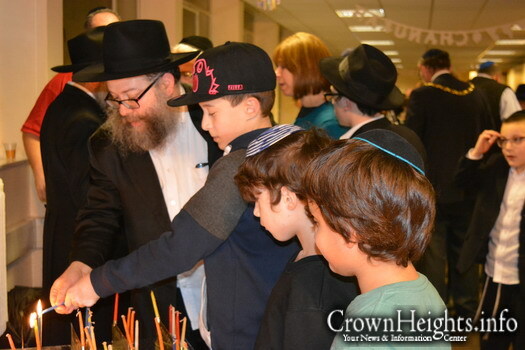 Four Bochurim – Mendy Mintz, Levi Minsky, Ari Dalfin and Shaya Naparstek from the Yeshiva in Brunoy, France, came to help out with all of the activities this year, which brought a real and palpable chayus to the whole community.